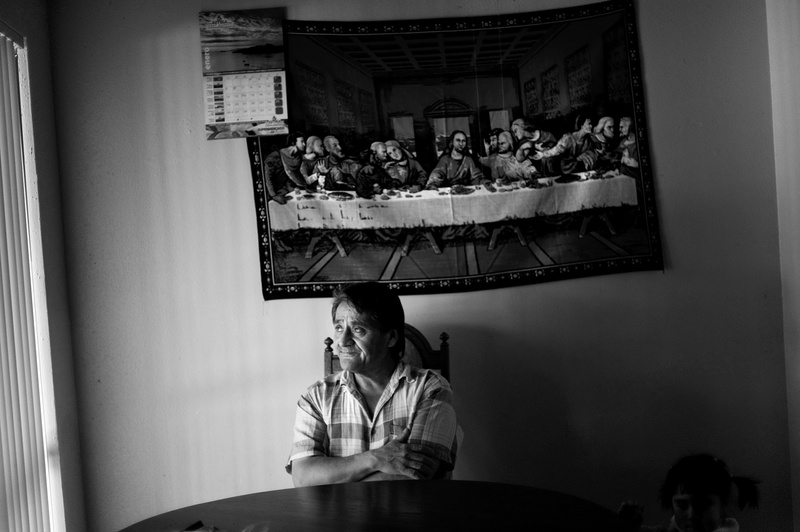 Brandon Thibodeaux -- (Irving, TX - 02.04.2009) -- Filemon Robles, an undocumented worker living in the U.S. since 1999, sits in his home in Irving, on Wednesday, February 04, 2009. Mr. Robles, claims he was involved in an auto accident while working in 2006, and that despite his having paid a portion of his paychecks for a company insurance policy, his former employer refused to file a claim, leaving Mr. Robles to pay thousands of dollars of medical debt on his now eight dollars an hour wages. Because of his status as an undocumented worker, claims like his go unheard for fear that what little financial gain they've made while living in the U.S. will be lost, or worse, they will be turned over to immigration officers and swiftly deported.